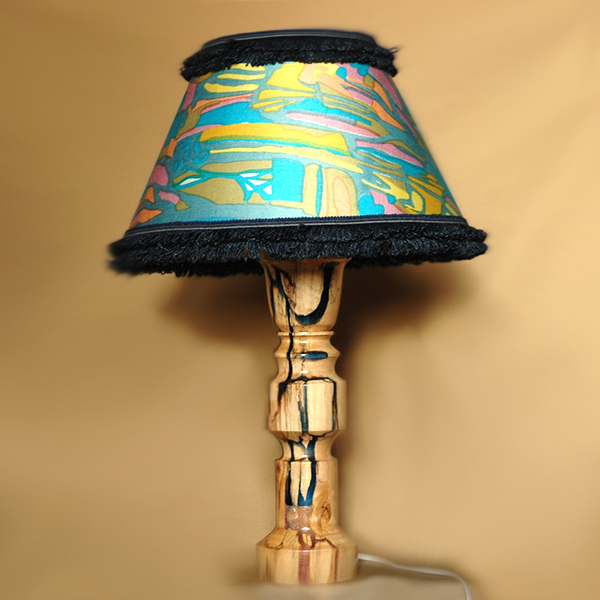 Wooden lamp with colorful lampshade.A gift for a wooden wedding. A handmade lamp with base of natural birch wood covered with jewelry resin. Comes with a one-of-a-kind colourful lampshade. An original item for a unique interior and possibly a great gift.